It’s time to add yoga and meditation to your list of New Year’s resolutions. Why? These mind-body exercises are basically the best (all-natural!) medicine. Not only can they can relieve back pain, reduce bloating, and even make you more productive. Surprisingly, yoga can also counteract the negative changes to your genes brought about by stress, too. In a recent paper published in Frontiers in Immunology, British researchers surveyed 18 previous studies (which included 846 participants) to determine the biological effects of meditation, yoga, breathing exercises, Qi gong, and Tai Chi. Their results showed that these activities appeared to reduce the risk of inflammation-related diseases and conditions. 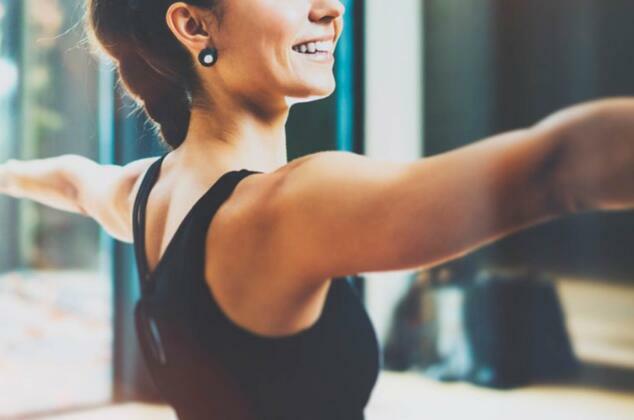 Participants who practiced mind-body exercises regularly had fewer symptoms of inflammation, as well as a decrease in their production of inflammatory proteins. But roll out your yoga mat with caution, and don’t give up your diet just yet. There still isn’t enough research to determine how these exercises compare to other healthy habits when it comes to positively altering your genes. Plus, yoga can occasionally hurt you more than help.